WE now offer are same great products for the home reloader. Supplies to provide less than lethal ammunition for those who like to save money reloading there own ammo. All the products we offer on our website are now available here in reload packs ( restrictions apply ) Specialty and Distractionary ammo excluded.. Choose from all sorts of pistol and rifle ammunition packages and start reloading your ammunition today. Molded from the same composite rubber as our ammuntion. These reload slugs are a must have for home reloaders. Loading instructions included with purchase. Enjoy home reloading and shooting less then lethal ammuntion. 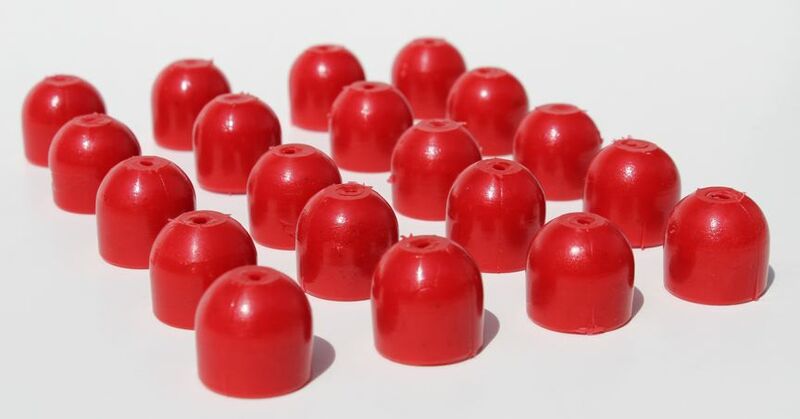 Offered in packages of 50, these rubber reloads are perfect for making your own target ammo, home defense ammo or just to have on hand when you want to try something different. Pick up a pack today and start reloading.